A central boiler heats water; this then circulates through a network of pipes to a series of radiator panels. 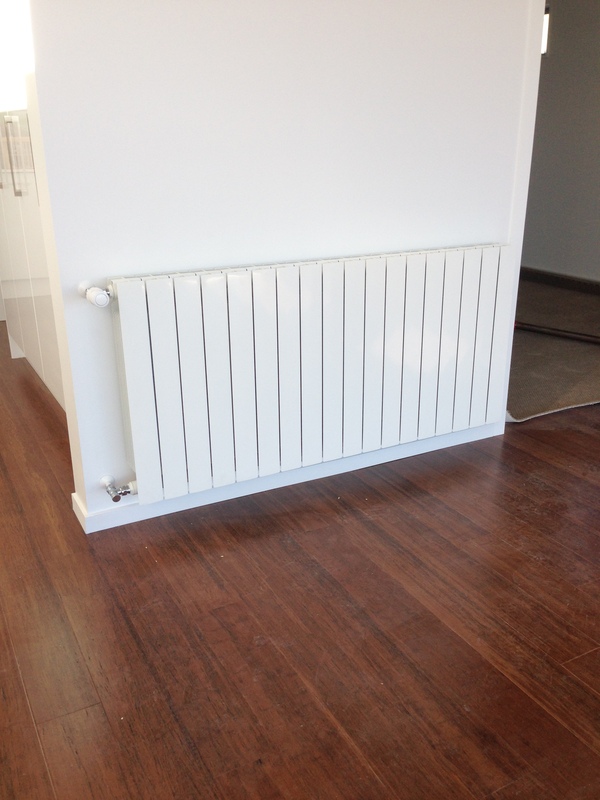 The hot water heats these radiator panels before returning to the boiler to be reheated and re-circulated. The radiators heat quickly to provide radiated and convected heat, each radiator can be fitted with a thermostatic radiator valve allow you to have moderate control from room to room. The same central boiler can also if required heat your hot water cylinder. 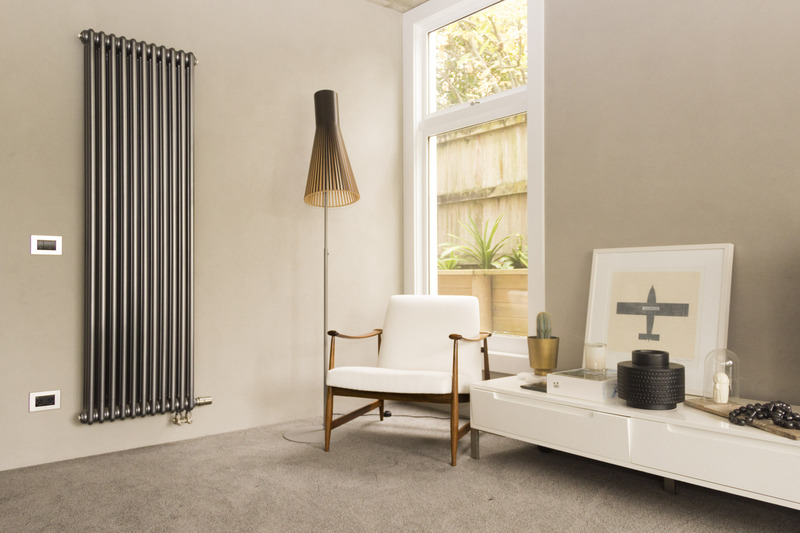 The high efficiency ratings of condensing heat sources means Radiator Central Heating is one of the most efficient ways to heat your home. 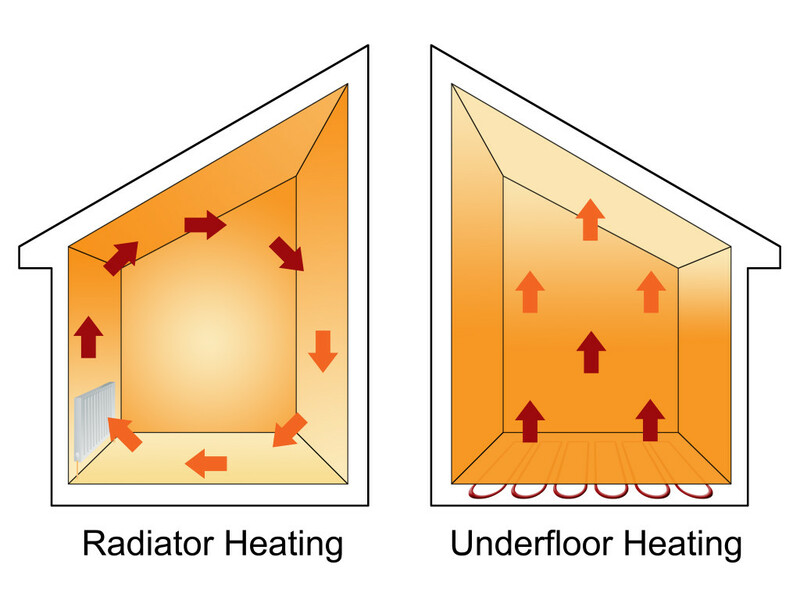 Water transfers heat at a much higher rate than air, so radiators can heat a room in a matter of minutes. 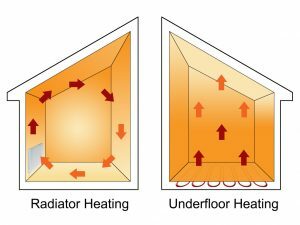 Most importantly, performance is maintained irrespective of the temperature outside, unlike some other heating alternatives. 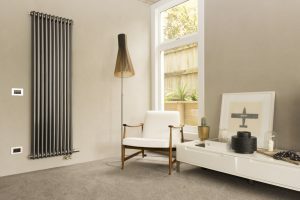 Compared to alternative single-source heating options that may only heat one room (often overheating), Radiator Central Heating is highly efficient and able to heat your whole house.